If you’re looking for a way to be part of the movement toward electric driving and want to choose a small car that will take you around town with ease, the right choice for you may be the Fiat 500e that you can lease and enjoy on the roads around Fort Lauderdale, FL. This little car is the electric-only version of the 500c with the two doors and the ride you want to have in the city that you need to drive in on a daily basis. Because EV driving is a fairly new part of what you can enjoy in the market, you may want to see the team at Massey Yardley Chrysler Dodge Jeep Ram Fiat in Plantation, FL to learn all you can about the Fiat 500e that you want to lease and have for the drive on the roads in Fort Lauderdale, FL. This is a small electric car that is perfect for the ride you’re looking for when you want to be able to handle all the miles you’ll travel on a daily basis in order to make sure you can have the ride you want. What does the Fiat 500e offer you when you choose it as the vehicle you lease and enjoy in Fort Lauderdale, FL? This little car makes use of a permanent magnet electric motor that provides you with 111 horsepower and 147 lb.-ft. of torque. This makes it possible for you to have this car out on the highway if you need to and enjoy a full 87 miles of driving on the roads every day when you start out with a full charge. This means you’ll be able to experience this impressive vehicle around the city you live in and enjoy the drive. When you choose the Fiat 500e for the driving you need to do, you’ll love this little car and the lease price you find. This is a car that’s quiet and easy to enjoy while being small enough to park anywhere you want to when you get where you’re going. Take this car out on the roads around Fort Lauderdale, FL and make it the right choice for your driving enjoyment that others can admire. There are plenty of charging locations around the city that you’ll be able to drive and enjoy the ride every day. As a city dweller, if you’re looking for a car that you can drive without the need to fill it with gasoline, the Fiat 500e is the right vehicle for you to have the drive you want. 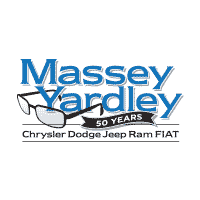 Make your way to Massey Yardley Chrysler Dodge Jeep Ram Fiat in Plantation, FL and take a look at the lease offers you’ll find that make this the vehicle you want to drive on a daily basis in Fort Lauderdale, FL. Come in and let this team help you have the ride you need with this little EV today.